Simplicity and elegance! 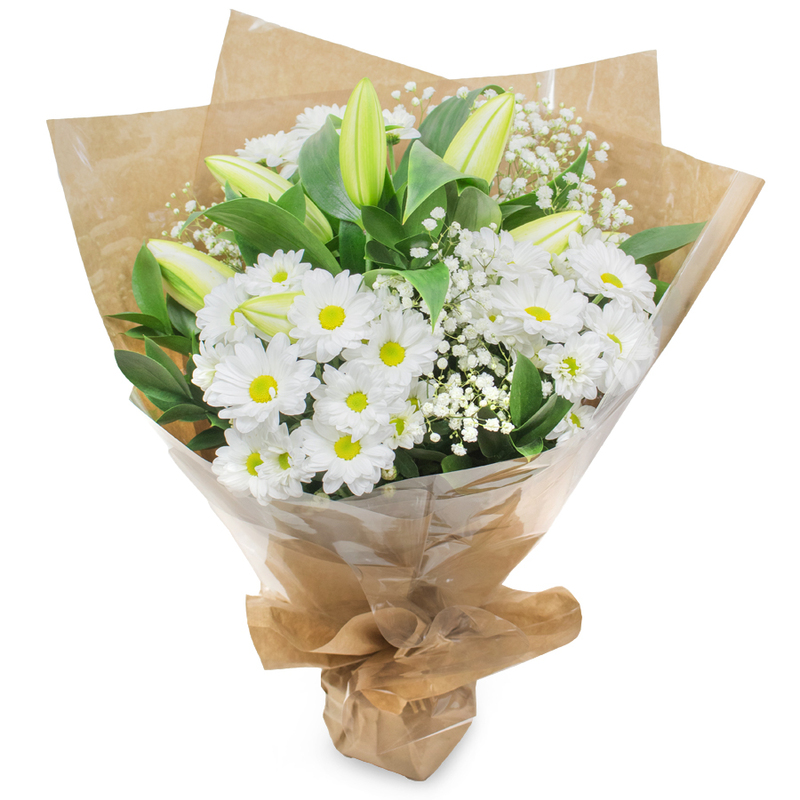 This stylish bouquet is made from white lilies, white spray chrysanthemums and is gently decorated by gypsophila flowers. Its gorgeous design makes this bouquet a perfect surprise gift for any ocassion! Grand and Deluxe sizes available, not pictured. The flowers I ordered were breath-taking. Very impressed with your service and the flower quality! Will place an order again! Loved how the bouquet looked on the pictures, but what I loved more was that it looked just as fresh and mesmerising in person too! Recommended! Got this heavenly bouquet from Handy Flowers! They delivered it right on time for my partner’s surprise birthday party. Thank you! The flowers were lovely – splendid-looking and fresh-cut. They delivered them exactly at the time I wanted them. Left ordering Classic Touch until the last minute, but that wasn’t a problem as they arrived incredibly quickly and saved me from having to make an excuse as to why my girlfriends present hadn’t arrived on time! Thanks! I always choose Handy Flowers when sending flowers to friends and family and they are always delighted with what they receive. Everything is prompt and efficient, from ordering the flowers to the delivery. A week after they were delivered my flowers still looked as good as new. Handy Flowers – thank you for the beautiful flowers sent to my friend, it really did put a smile on her face at a difficult time!